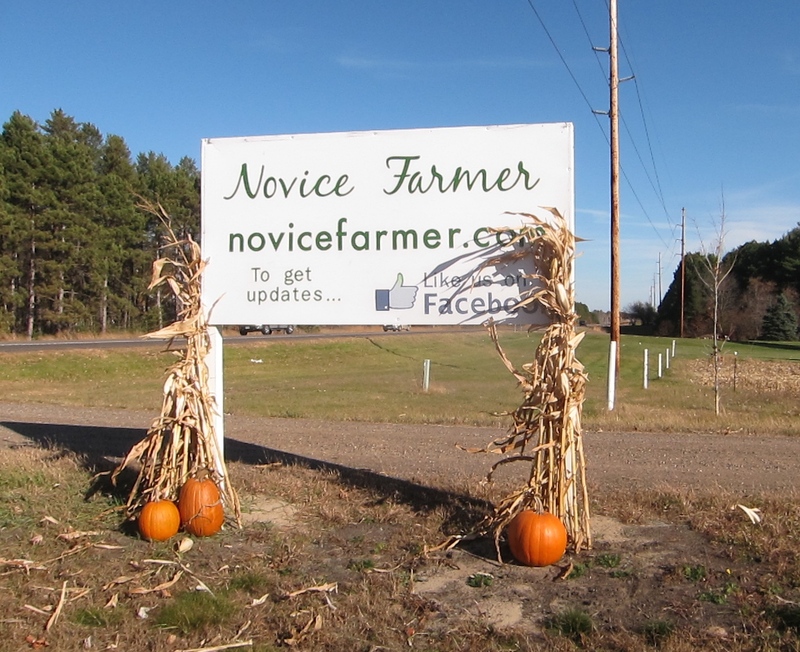 Can you give us a little history on The Novice Farmer and how it all began? I’m sort of gradually expanding my hobby into a business. I was a little concerned about the long-term security of my job and as we neared retirement it seemed like this might be a way to use our land and our interests to supplement our income. About that time I accidentally came across a government grant to aid new farm ventures and it all seemed to come together. 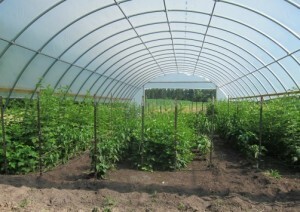 We put up a hoop house the summer of 2013 and planted raspberries and blackberries. The next step was to find a name that had not been taken. 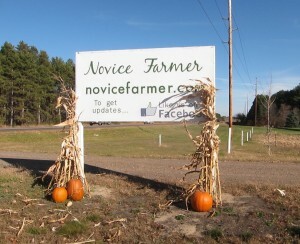 I chose the name “Novice Farmer” because I felt so ignorant beyond the hobby part of gardening. That fall I started a website and went “public.” We put a sign up in June 2014 for people to drop in and buy, and this year I am joining a farmers’ market. Have you received any specific advice or tips that have really helped get your business started? The USDA Conservation Department employees and seminars have been wonderful resources. Friends and family members have offered not only helpful advice and encouragement but also actual physical labor. Our church always saves the coffee grounds for my compost every Sunday. And my Mom saves her compost for me too. A couple of friends have gone all out with word of mouth advertising for me. There also seems to be no end to what a person can research and learn online. As far as marketing, one of my nieces helped me overcome my fear of the internet and helped me start a website. My children encouraged me to start a Facebook business page and have helped me get going on that. How do you typically market your business, new products, events, etc.? I have the website for general information about the business, but I try to post something on Facebook at least three times a week and will direct people to the website. 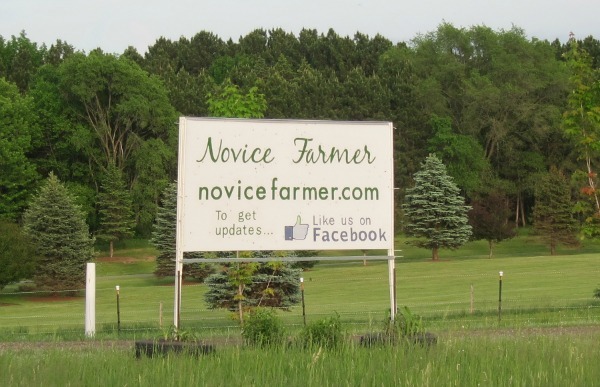 I have a great location on a major highway, so I put a sign out with both the website and the Facebook logo. I generously distribute business cards with my website. And I do rely heavily on word of mouth. I really like learning about plants and how to use them, but mostly I like being outside in the summer and being my own boss. 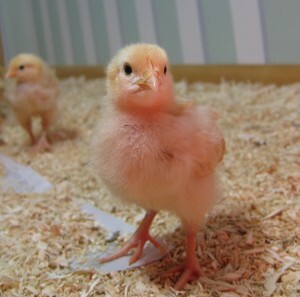 I also have really enjoyed having chickens. What is your favorite fruit, vegetable, or herb that you sell? I love the herbs in general. They are fun to grow, easy to harvest, and drying and packing them is relatively simple. It also just smells so good when I’m weeding in the mints, basil, thyme, or oregano. I always grew lemon verbena mainly because the smell makes me happy and later looked for ways to use it. Are you doing anything to celebrate St. Patrick’s Day? I get a little nuts about this time of year because I’m anxious for spring and generally start my seeds way too early so that they get too tall and leggy before it’s warm enough to put them outside. 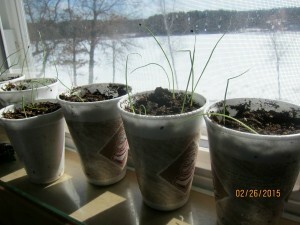 So far this year I only planted the onion seeds; I figured this was legitimate because they take so long to mature. It’s very heartening on sub-zero mornings to see the little green shoots coming up. Maybe I’ll give in to my impatience and start my tomatoes, tomatillos, ground cherries, and peppers on St. Patrick’s Day. I think that might be a good tradition; the promised planting date might help me resist getting carried away with seeds in February in the future. And maybe I’ll cook cabbage for supper. Happy St. Patrick’s Day! Does your business do anything to celebrate? Please share with us in the comments. Thanks Donna for the nice story. If there is any way that I can help advertise or have brochures here during the Unique Boutique & Antiques TOUR, that would be great..plants do great and our dates are May 7-10 & 14-17, if you want to bring any over with your B cards, please do or anything else.